Contact Added to List - Triggers when a new contact is added to a Burst SMS list. 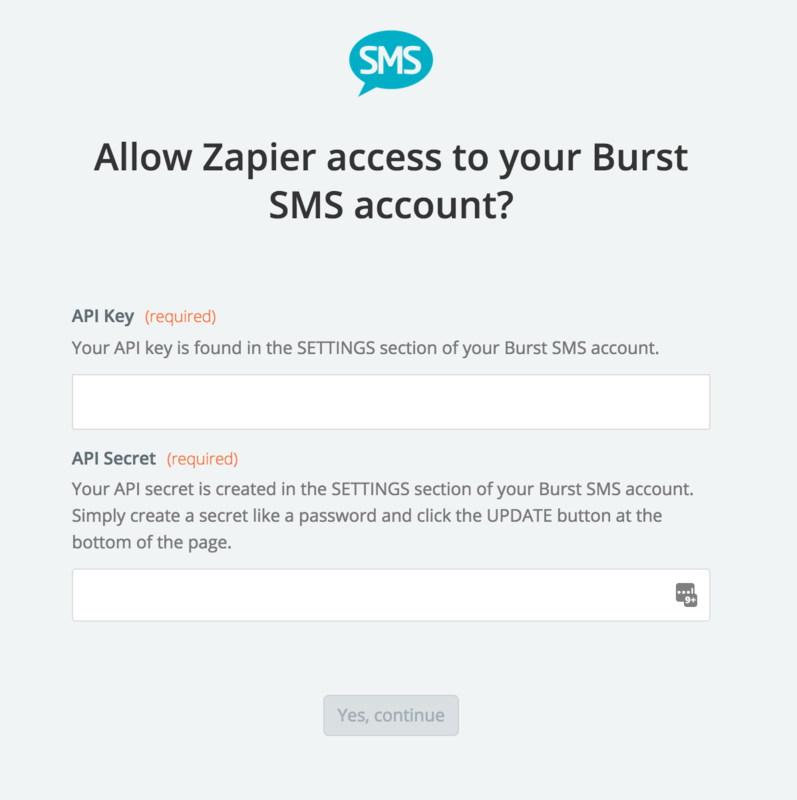 "Global Opt-Out" and "Quick SMS" lists are not available for use via Zapier. SMS Sent - Triggers when an SMS is sent. 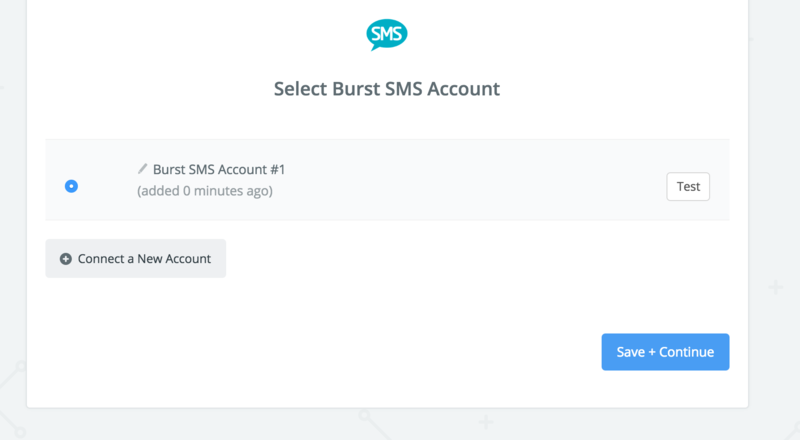 (WARNING: Do not use this trigger with the Send SMS Action for Burst SMS as this will cause a loop). SMS Received to Inbox - Triggers when any new messages are found in your SMS Inbox. Will also automatically detect an email address in the message and return this in the response. Link Hit - Triggers when a recipient clicks on Burst SMS Short URL. Delivery Report Received - Triggers when a delivery report is received for a message. Report values are "delivered", "pending", "hard-bounce", "soft-bounce". SMS Received to Virtual Mobile Number - Triggers immediately when a message is received by a Virtual Mobile Number. Will also detect an email address in the message and return this in the response. Find Contact - Finds an existing contact in a contact list. Send SMS to List - Send SMS to a Burst SMS contact list. Send SMS - Send a text message to a single mobile number. Add/Update Contact - Adds or updates a contact on a Burst SMS list. Delete Contact - Delete a contact from chosen list. Paste the API Key and API Secret into the login form. If your API key was entered correctly your APP account will now be successfully connected.